According the European Biobased Industry Consortium (BBI) the vision is “leading the transition towards a post-petroleum society while decoupling economic growth from resource depletion and environmental impact”. 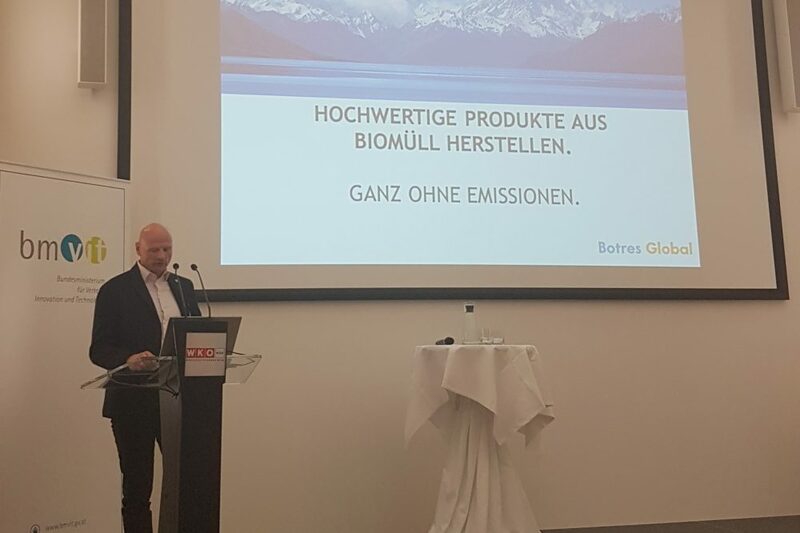 On Nov. 23, 2016 Botres Global was part of the Austrian stake-holder dialog regarding Biobased Industry. CEO, Stefan Kromus presented our research project “Integrated Residue Biorefinery: heterotrophic Algae from food waste”. The clear target is to reduce food waste by means of recycling into valuable feed. The event has been organized by ÖGUT for bmvit* (stake-holder dialog page). Biorefineries are supposed to substitute fossil based resources. Botres strongly believes, that waste and residues will be key resources for a sustainable future. There will be huge obstacles due to growing global population. Only with Integrated Biorefineries which provide synergisms among the value systems we will foster sustainability for 10 billion or more people. We have to create value networks, not two dimensional cascades in biorefining.